The Denny's restaurant in Vineland. 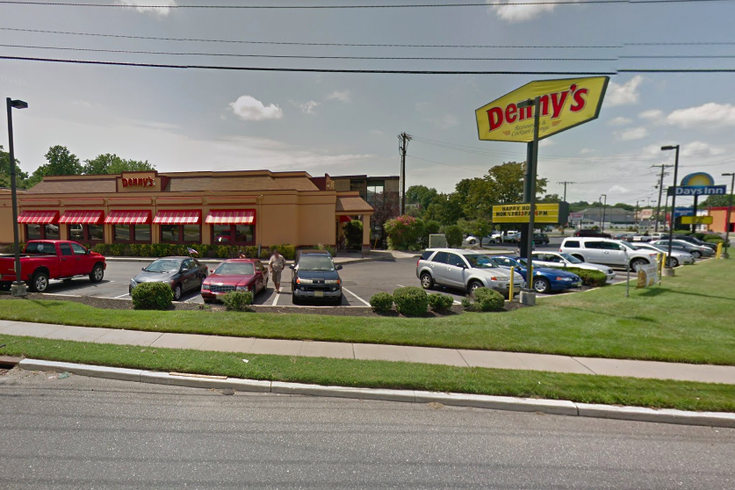 Authorities are investigating an "unfortunate melee" that broke out in a South Jersey Denny's restaurant on Saturday. Video of the fracas posted to Facebook shows chairs and punches being thrown by a large group of individuals inside the chain restaurant at 1001 W. Landis Ave. in Vineland. The Cumberland County Prosecutor's Office said in a statement Monday the incident "can only be described as NONSENSE!" "No one in our community should be concerned that they may face this type of nonsensical behavior when they go out for a bite to eat," the office wrote on Facebook. "That is why we need your help to identify the individuals involved and prosecute them to the full extent of the law for CRIMINAL MISCHIEF." Anyone with information on the incident, or who was involved in the melee, is asked to contact the Vineland Police Department. Tips can be submitted by downloading the CCPOTIP app on an Android or iPhone and choosing the Vineland Police Department; by texting 847411 with VPDTIP and the tip in the message line; or by going to the Cumberland County Prosecutor's Office Facebook page and clicking the "submit a tip" option.